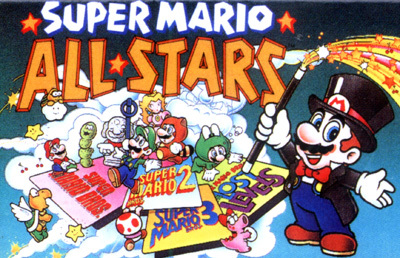 Super Mario All-Stars contains 16-bit enhanced remakes of Super Mario Bros, Super Mario Bros: Lost Levels (Japan's Super Mario Bros. 2), Super Mario 2 USA and Super Mario 3. There was also an alternate version bundled with the Super Nintendo in December 1994 that included a slightly downgraded version of Super Mario World on the same cartridge. Due to processor and clock differences between the NES and SNES, the original game engine was not faithfully emulated, making slight changes noticeable to avid players of the original games. However, the game was very successful and well-received upon release and eventually became a "Player's Choice Million Seller".